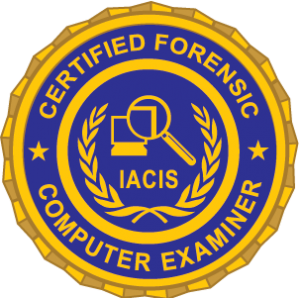 Glynn has been a member of IACIS since 2001 when he attended the Basic class in Orlando Fl as a Detective for the Ascension Parish Sheriff Office. Glynn retired from law enforcement after 19 years of service and now works as a full-time Senior Instructor for Access Data where he also manages the Certified Instructor Program. Glynn has been active with IACIS since 2002 when he achieved the CFCE certification serving as coach and assessor for the Certification Committee continuously since 2002. He has also served in many other capacities for IACIS instructing at many US and European Training events, FTP and Forum manager for the Communications Committee and member of the Marketing Committee. Glynn has been married for 36 years and has two children and two grandchildren. He resides in Louisiana.